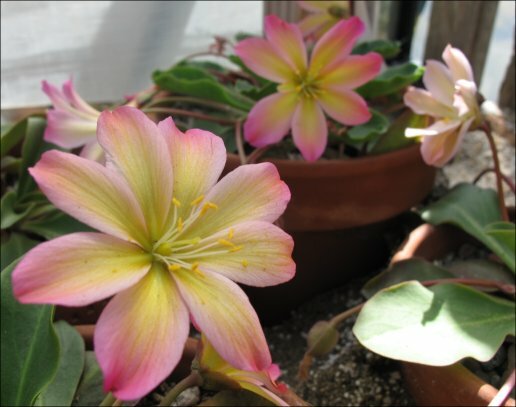 Frank Tweedy is probably best known among alpine plant enthusiasts for the species that bears his name Lewisia tweedyi (now residing in its own genus Lewisiopsis). Frank was working for the U.S Government as a railway surveyor on Mt Stuart in the Cascade Mountains near Wenatchee, WA when in 1882 he “discovered” this beauty. 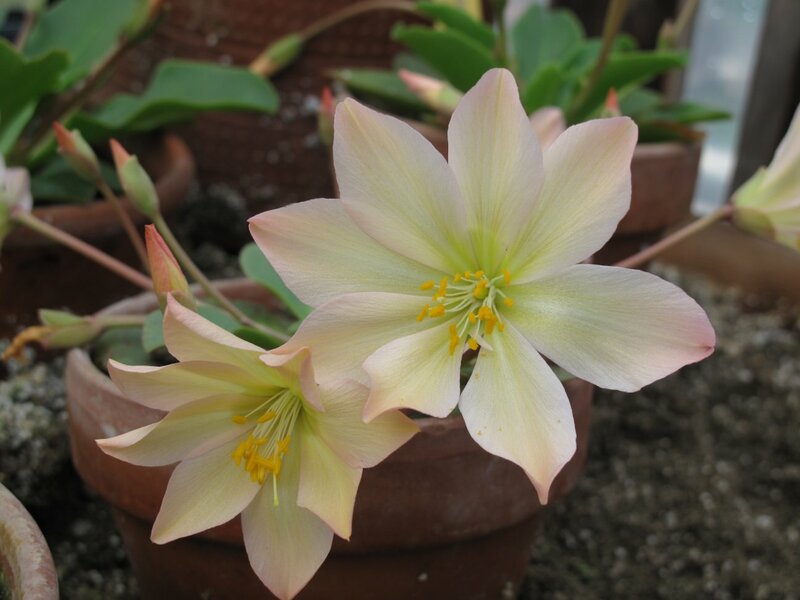 Bloom color ranges from stunning deep and pastel pinks with yellowish orange highlights to specimens that have “earned” the epithet rosea, presumably for the deeper red highlights. Two other northwest native species are named for Frank, Calamagrostis tweedyi (Cascade Reedgrass) and Salix tweedyi (Tweedy’s Willow). In 1886 Frank self published (in conjunction with the Library of the New York Botanical Garden) his “Flora of the Yellowstone National Park,” which I was able to download to my Nook (free of charge) courtesy of Barnes & Noble. You can also view a digitized addition right now courtesy of BHL (Biodiversity Heritage Library). Electric Peak, 11,000 feet above sea level. On the estern border lie the rigged volcanic peaks of the Absaroka or Yellowstone Range, reaching elevations of 10,800 feet on the north east, and over 11,00 feet on the southeast. Absaroka is the Indian name of the Crow Nation, whose reservation is on the eastern slope of this range of mountains…. …Yellowstone Lake (7,740 feet), the largest lake at great elevation in North America, has a length and breadth of respectively twenty and fifteen miles, a depth of 300 feet, and an area of 150 square miles. The shore line, indented by several large bays, is over 100 miles. The beautiful curves of the sandy beaches and crystal purity of its waters, make it an object of unusual interest. With the exception of the Yellowstone Range, rising from its easter shore, it is surrounded by a generally low, heavily timbered country. While searching for more information on Frank, I serendipitously stumbled on this lovely post by Julie Ardery, creator of the fabulous blog The Human Flower Project. Julie, a descendent of Frank, discovered her botanist ancestor shortly before a family reunion in 2010. Check it out: The Botanist Gene. This entry was posted in Alpines, Plant People and tagged Calamagrostis tweedyi, Flora of the Yellowstone National Park, Frank Tweedy, Lewisiopsis tweedyi, Salix tweedyi by Bart Arenson. Bookmark the permalink.